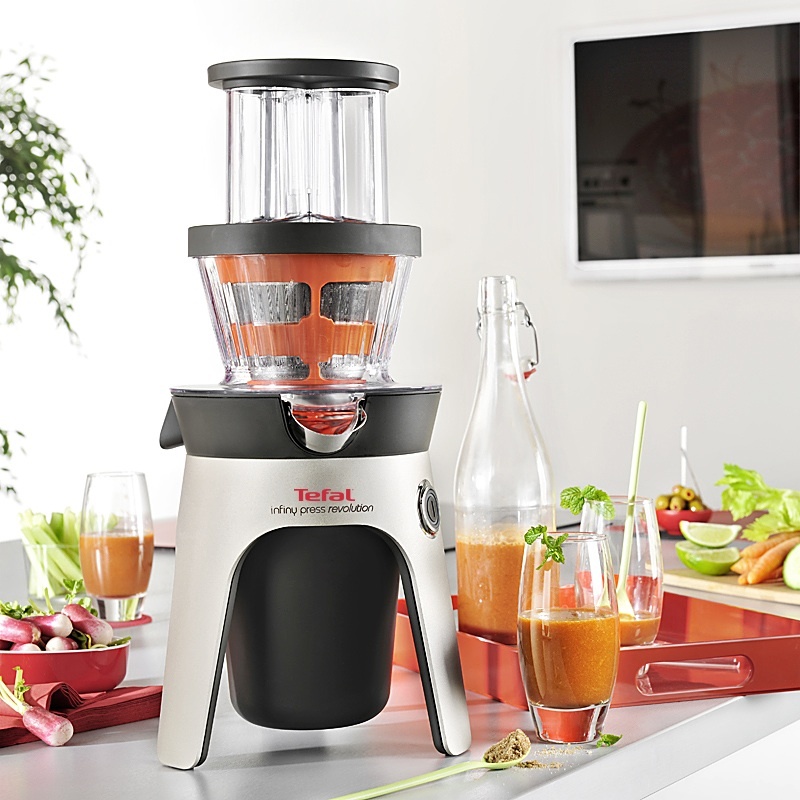 Tefal has launched the Infiny Press Juicer for Juice Perfection, with the latest juicing technology featuring a unique way of preparing your glass any way you want it. Whether it is a refreshing breakfast juice, a mid-morning fresh fruit drink or adding the finishing touches to that scrumptious dessert, it is truly revolutionary. Tefal Infiny Press Revolution Juicer (RRP £199, currently on Amazon for £149) features a continuous juice extraction and dry pulp extraction. It gently presses fruits, vegetables and even herbs, extracting up to 35% more juice, 30% more Vitamin C and 75% more antioxidants, compared to Tefal’s most powerful juice extractor. It includes two filters for juices and coulis, and a recipe book. The slowly rotating screw mechanism presses fruits, vegetables and even herbs very delicately to get the very best out of them. This gentle pressing process preserves as much flavour and vitamin goodness as possible by making full use of all the resources the fruit or vegetable has to offer. This helps you produce thirst-quenching, fresh juice that is full of nutrients and tastes delicious. The Infiny Press Revolution reduces the amount of clearing-up required; while pressing the fruit, the juicer dries out and ejects any waste, meaning there is no waste chamber in the machine to clean out during juicing. What’s more, all the removable parts (the filters, the screw etc) are dishwasher-safe, meaning you can relax and enjoy your juice drink. With its modern and sophisticated design, Infiny Press Revolution, with 2 jugs, will complement any kitchen. I am pleased to let you know that Tefal is offering an Infiny Press Revolution Juicer, worth £199, to one of my readers, to help you enjoy tasty juices and delicious sauces. Simply enter your details below by 20th August! Full T&Cs can be found here. Fancy winning other competitions? 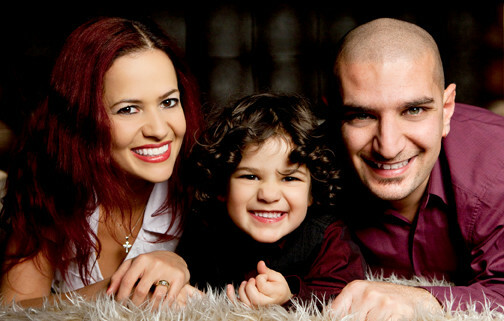 Check out Lilinha Angel’s World COMPETITION Page! 26 Responses to "COMPETITION: #Win Tefal Infiny Press Revolution Juicer, worth £199"
Thanks for the competition. Am I being silly, but I can’t see anywhere to enter my details? Hi Lyn, there is a widget at the end of the blog post, with a video and boxes to enter your address. Can you see it? Proper job. Do I win? As Jim Carrey would say.. “Juice juice juice juice”. Thanks for making such a wonderful prize available to us. Great prize.Love making my own juices,so much healthier than shop bought ones. Great prize – Where is the entry form? The entry form is at the end of the blog post. Please let me know if you can’t see it.